We are delighted to have Henry “Hoby” Wedler guide us through a blindfolded tea or beer and cheese tasting at our World Sight Day event in September. Hoby has been completely blind since birth. When Hoby was born, the doctor told his mother, “There is something wrong with his eyes.” They later found he had a mysterious disorder called Microphthalmia, which caused his left eye to never fully develop while his right eye was too large and had to be removed shortly after birth. Eventually, doctors were forced to remove the tiny left eye as well. His eyeballs are now acrylic. Hoby has never let his disability hold him back and at just 29-years-old, he has an incredible list of accomplishments. He recently completed his Ph.D. in organic chemistry at the University of California, Davis, he is the founder and director of the nonprofit Accessible Science, and a food and beverage sensory expert. In 2011, Hoby discovered a passion for food and drink, and how they relate to the senses when he began hosting blind wine and beer experiences. In 2012, Hoby was honored at the White House when he was one of only fourteen individuals named to President Barack Obama’s Champions of Change for enhancing educational and employment opportunities for Americans with disabilities in the STEM fields – science, technology, engineering and math. Hoby’s was recognized by Forbes Magazine in 2016 when he was named one of Forbes’ 30 under 30 in the food and drink category. This prestigious honor is granted to 300 individuals from around the world all under 30 years of age across ten categories, making a total of 30 individuals per category. Hoby was also recognized as one of the Sacramento Business Journal’s 2016 40 under 40 recipients. Hoby grew up in Petaluma, California where he fell in love with Sonoma County early in life. 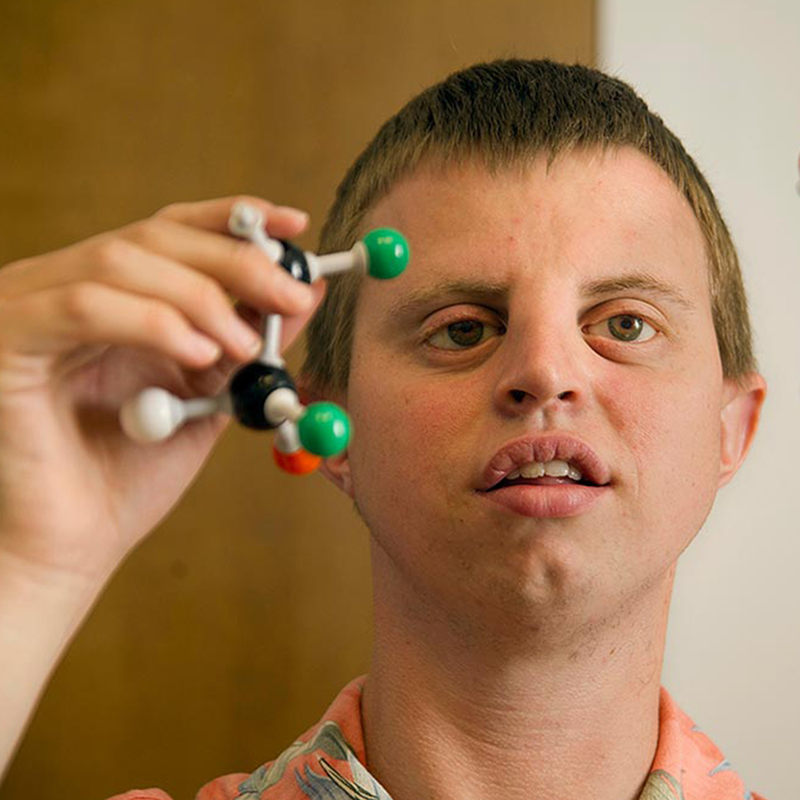 When he’s not busy pursuing his academic studies, you’ll find him leading his blind or visually impaired chemistry camp students in hands-on organic lab experiments through touch and smell. In his free time, he turns his attention to food and drink – where he’s most passionate about flavor, accurate flavor descriptors, and the science behind flavor and aroma. World Sight Day is an annual day of awareness created by the International Agency for Preventable Blindness held on the second Thursday of October, to focus global attention on blindness and visual impairment. CBI’s World Sight Day event will be held on Thursday, September 28, 2017 at the Madison Marriott West. Learn more about the event and register today. What is the benefit of restoring someone’s sight? What do you think? Discuss your thoughts in the comments below.